UPDATE: Forget anything written in this post. 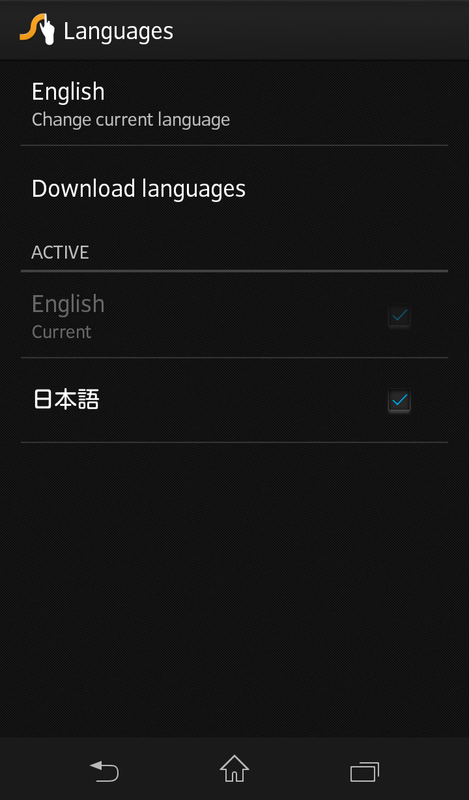 Swype's Japanese support is a joke. And it is very inexpensive at 99 cents. The free Japanese IMEs don't do a good job with English, like the OpenWnn-based ones (open source version of iWnn), including Simeji. 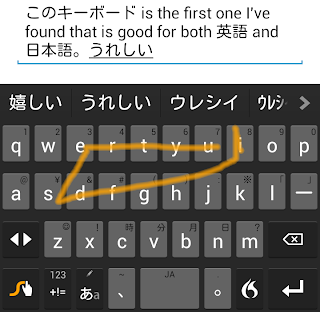 I was most excited to hear that Google was working on it's own Japanese IME (and I do like the godan input), but I was ultimately disappointed to see that it didn't include the functionality of the standard Android keyboard. 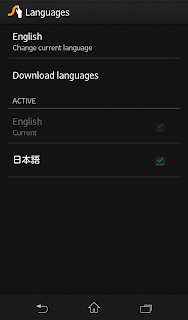 I'd venture to say that the reason for this is none of these keyboard include English, but rather romaji (along with kana and numbers). While a native English speaker can of course type English on one of these keyboards, you'll rarely find them optimized to the task because autocorrection is lacking or absent. If you are doing more than hacking about about 5 letters, it's faster to unfocus your eyes from the keyboard, swipe down the notification bar, hunt for and find the change keyboard option, then find and select a more appropriate keyboard. 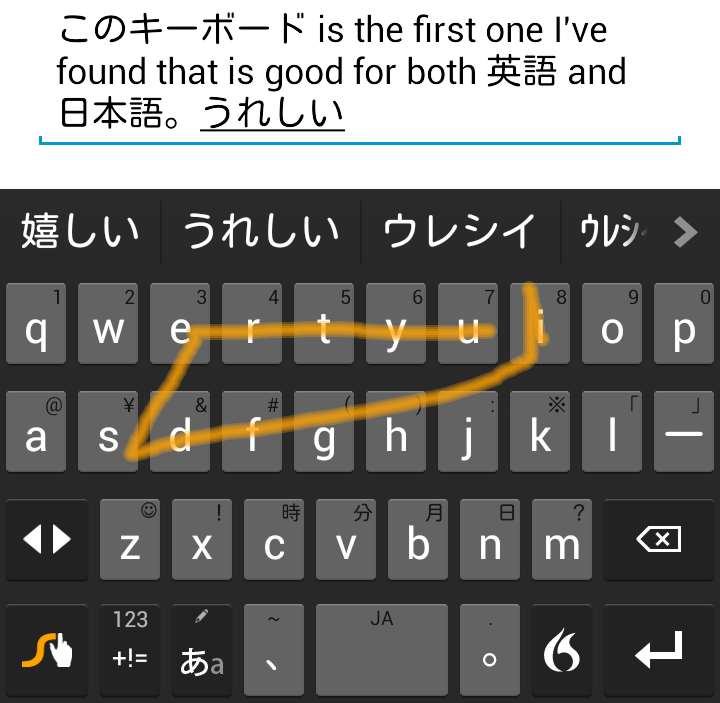 This became a subtopic of discussion on a previous post about the Jorudan train app now supporting romaji input, and one commenter suggested using Swype, as well as listing some paid (but still inexpensive compared to ATOK) options. I recall that Docomo invested a bunch of money in Swype a couple of years ago, but a product available to me never showed up, and I just stopped paying attention. Before spending the mere 99 cents on Swype, you can install the free 2-week trial version. If you really like the keypad or hanabi style of Japanese input, this keyboard won't be for you. However, if your preferred method is QWERTY, I think you'll like it. You can still tap the keys if you think swype is a gimmick. 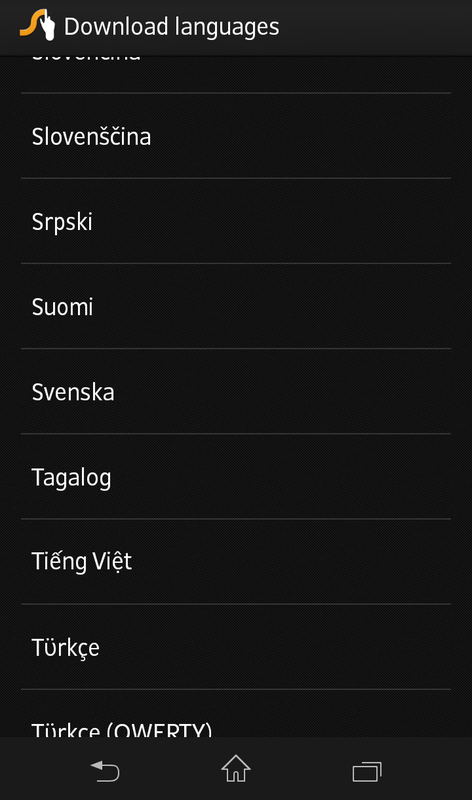 The keyboard comes equipped with English only. You can then choose which languages to download and install, including Japanese and (Swedish for our resident grouch :)).